MCLEAN, VA—Waldorf Astoria Hotels & Resorts wants guests to “Live Unforgettable” with its new brand-repositioning campaign, encouraging travelers to live in the moment and create unforgettable experiences, all while sharing them on social media. The campaign itself is unique, being digital-only, designed to appeal to new generations of luxury guests. These are guests who rely on technology but also seek a sense of place and meaning in the midst of a digitally saturated climate—and Waldorf Astoria is giving them just that. The campaign aims to highlight the unchanging “True Waldorf Astoria” service, while introducing a fresher and more playful connection into the Waldorf world. “The luxury landscape has changed and so have consumer demands, providing the opportunity for Waldorf Astoria to take a bolder and more entertaining twist on a point of differentiation that is crucial to the brand’s heritage, ‘True Waldorf Service,’” said Kellyn Smith Kenny, chief marketing officer at Hilton, headquartered here. With the increase in mobile phone usage and social media interaction, the luxury guest is evolving, and Waldorf Astoria is adapting. In fact, according to Kenny, the luxury segment of customers is increasingly female, Generation X and millennial. Industry research indicates that 45% of the global luxury goods market will consist of Gen X and millennials by 2025—generations that like their digital content. Research also reveals women are more likely than men to make travel reservations online, Kenny noted. “We’ve also observed women are entering the affluent segment at an accelerated pace. These trends informed our approach to Waldorf Astoria’s digital-led campaign. We’re featuring female protagonists throughout our campaign creative and target market,” she said. The online campaign features both nine- and 15-second videos of storylines detailing experiences from a guest-and-pet spa day to a couple ordering every ice cream sundae on the hotel room-service menu. 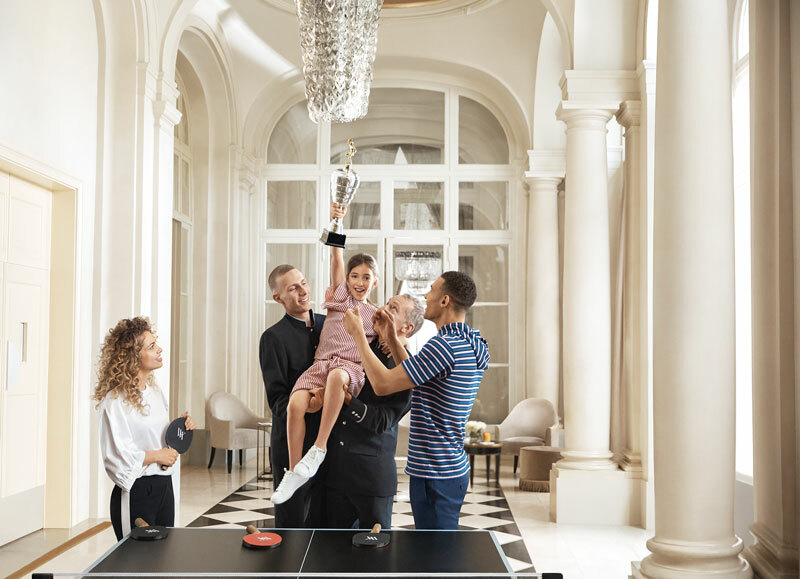 With a nod to the female guest, another campaign video showcases a personal concierge engaging in a ping-pong match with a family staying at one of the hotels and, to the concierge’s surprise, the young daughter is an all-star player. Waldorf Astoria aims to bring its signature style and service to new generations of guests via social media. “We use visually arresting imagery designed to resonate with our target consumer and will optimize our ad rotation based on performance,” Kenny said. She added that the campaign will also come to life across social platforms like Facebook, Instagram and WeChat. “We encourage our guests to share their experiences and stories through their personal social channels, and find this is a fun way to engage with our customers,” she said. Guests can use hashtag #LiveUnforgettable across social media platforms, along with #WaldorfAstoria and #TrueWaldorfService. Consistent hashtag use across platforms helps users to share their experiences collectively, encouraging engagement and a sense of community. 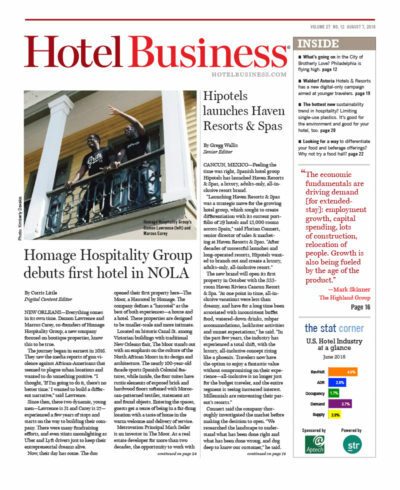 “Our consumers’ emerging desire for instant gratification allows us to advance our online application, text-friendly concierge and various social media channels to offer the right amount of personalization for each guest. This helps us to remember which guests like the corner room, which guests are Diamond Honors members and so on. Another benefit of social media is its ability to reach new and affluent target consumers,” Kenny said. Kenny explained that having a digital campaign allows Waldorf Astoria to reach millennials through influencer partnerships—users with an established and expansive online following—after an extensive selection and vetting process. Waldorf Astoria partners with influencers who have an authentic relationship with the brand and what it’s famous for, Kenny added. 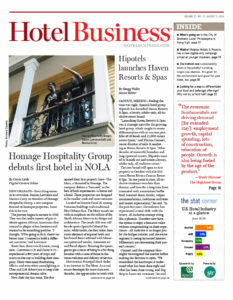 Although social media provides unique channels for guest interaction and digital content, Kenny said that recent research reveals luxury guests are also placing an increasing emphasis on accommodations that deliver a true sense of place because of the disconnect from human interaction that mobile devices can sometimes create. This combination of blending traditional ways with modern technology is part of the reshaping of the Waldorf Astoria brand and a testament to Waldorf Astoria’s commitment to the changing but loyal guest. “Our guests and their travel aspirations were the inspiration for our campaign. Waldorf Astoria customers crave intuitive and dedicated service that’s personalized and bespoke. They expect experiences that are noteworthy and memorable, so they can truly ‘live unforgettable,’” Kenny said. Guests seem to be taking to the new campaign, appreciating the brand’s creativity and acknowledgment of guests’ needs. Kenny said that brand-passion metrics are climbing and that customers are continuing to engage with the campaign.